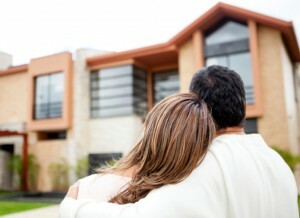 Becoming a first time home buyer is a very exciting experience. When you’re getting ready to buy your first house, you may find yourself feeling completely overwhelmed by the long list of things you need to do and consider. It can seem very scary, but with the right tips, you will find yourself buying your first home with ease. Would you like to learn some helpful tips that will help you buy your first house? Let’s take a look. Before you even call a realtor, you should be doing lots of research. Figure out what you want in your new house and start with a big dream. What is your perfect house? Where is it located? Once you have the perfect vision for what your home could be, you will have a list of things you want out of your new home. Take this list and mark off which elements are your top priorities. As you look for your new home, you can cross reference the features of the house with your list and shop accordingly. Which elements are an absolute must and which elements can you live without? First Time Home Buyer incentive programs are going to help you a lot. There are a lot of classes out there about buying your first home. Not only that, but you can also cash in on the many resources available to first time home buyers. Programs like SELP and CDA are specially set up for first time home buyers in Maryland, so make sure to take advantage of them. You can also go to websites like Redfin and Zillow to give you a specialized way to filter your home search. Furthermore, when you’re looking into a home buying loan, you need to make sure that your credit is in good shape. One of the biggest things that first time home buyers often forget about is their credit, so make sure that you are in good standing before applying for a loan, making an offer on a house, or even just shopping around. How awful would it be to find the perfect home only to pass it up because you failed the credit check? Interested in selling your Maryland home so you can buy your new one? We can help! At Residential Title & Escrow and Commercial Settlement Services, we bring peace of mind to the settlement table. If you are searching for a title company to help you through the closing process, please contact us today! You can also fill out our simple online title request form and one of our knowledgeable representatives will get in touch with you promptly. Be sure to follow us on Facebook,Twitter, Pinterest, andGoogle+ to stay up to date on news, and upcoming events as well as staff and client spotlights! This entry was posted on Friday, August 5th, 2016	at 7:28 pm	and is filed under Buying a home . You can follow any responses to this entry through the RSS 2.0 feed. Both comments and pings are currently closed.